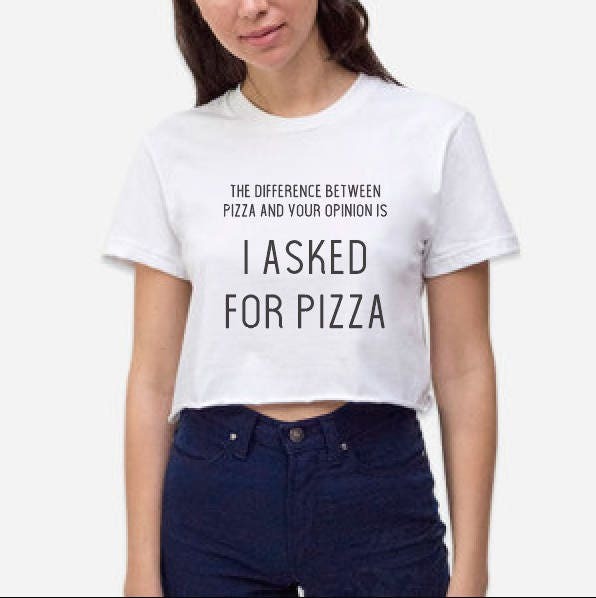 This tee let's everyone know what you really think about their opinions - you didn't ask for them. 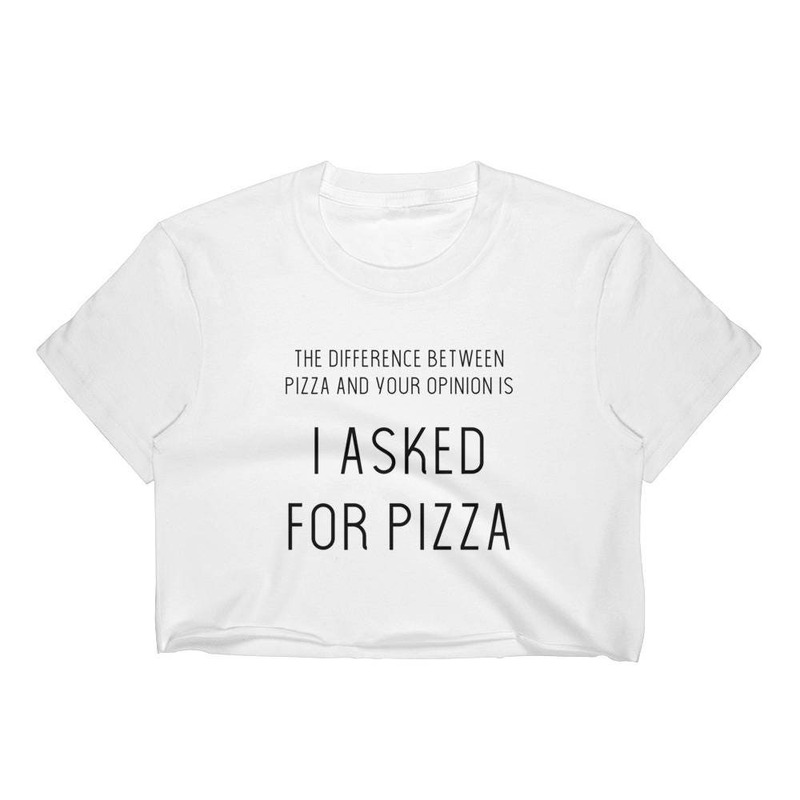 You asked for pizza. Fit is Women's so it is TRUE TO SIZE, with a purposefully slightly loose but still slender body, perfect for working out! Order your usual Women's size, or consult size chart below! S = 17" x 17"
M = 19" x 19"
L = 21" x 21"
XL = 23" x 23"